Just because a celebrity is famous internationally, doesn't mean the average Jane or Joe would recognize them on the street in the United States. The following athletes, singers, fitness gurus, and more are among the world's best at what they do, and yet we're willing to bet the average red carpet announcer in the USA would pause for proper pronunciation. Despite immense success in their respective fields, these international superstars are not yet household names in the States. Some, like soccer pro Zlatan Ibrahimovic, seem destined for stardom in America, while others, like Bollywood legend Amitabh Bachchan are content with just being incredibly rich and famous everywhere else in the world. You've probably seen international model Doutzen Kroes before — in wax or real life, even if her name doesn't ring a bell. For whatever reason, be it legal troubles, bad timing, or choice, these athletes, musicians, actors, and actresses just haven't found the same level of fame in the United States as they have elsewhere. These are the biggest celebs you've probably never heard of. Swedish-born Zlatan Ibrahimovic may play soccer in the shadow of Hollywood, but he's certainly not a household name in the United States. At least not yet. The LA Galaxy forward made his mark playing throughout Europe, where a combination of controversy and spectacular play made him an international superstar. 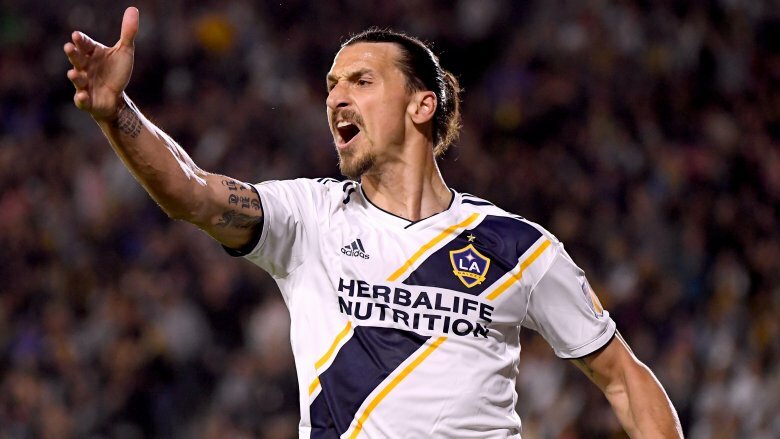 Following a serious knee injury and lack of playing time with Manchester United, Ibrahimovic signed with the Galaxy in 2018 for $1.4 million, a 95-percent pay cut from the $27 million he made with his English club, according to CNBC. While his play speaks for itself, Ibrahimovic isn't afraid to do a little talking himself. In fact, Bleacher Report said the Galaxy team was "perhaps signing the greatest showman the sport has ever seen." In true Zlatan fashion, he made a splash before even playing his first game in L.A., taking out a full-page ad in the Los Angeles Times that read simply: "Dear Los Angeles, You're Welcome." Ibrahimovic also has modest plans for making it big after his career on the pitch is over. "I think leading man — something like Rambo, Bourne Identity, because I think I have the skills to do those things," he told a U.S. radio station (via the Mirror). "Somebody says I could be like the bad guy in the movie, because my English is like Ivan Drago. But I see myself better than that." X Japan has been making heads bang across Asia since 1982. According to Forbes, the heavy metal glam band has moved more than 30 million albums and sold out the Tokyo Dome a record 18 times as of 2017. Drummer and co-founder Yoshiki is so recognizable in Japan, he was honored with the first Asian Icon Award in 2016. 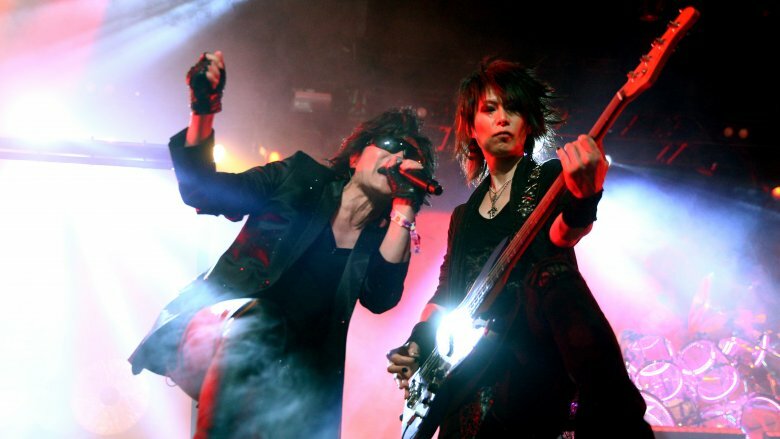 X Japan has even performed in NYC's Madison Square Garden and found some critical success in the States. Rolling Stone referred to the group as rock music's "most flamboyant survivors." So why aren't you familiar with their work? "Crossing over in America is not easy at all," Yoshiki told Forbes in 2017. A documentary about the band, We Are X, was recognized at both the Sundance Film Festival and South by Southwest, and in 2018, X Japan was invited to headline the Mojave stage at Coachella, becoming the first Japanese band to play at the renowned music festival. That's huge, right? Unfortunately, a certain somebody named Beyoncé was also at Coachella … and performing at the same time. "More than 1,000 people were watching [X Japan's} nine-song set about 15 minutes into it Saturday night, including many Asian or Asian-American fans," reported the Desert Sun. "But the crowd for Beyoncé probably exceeded 70,000." The veteran rockers took the bad timing in stride. "The only downside playing the same time as Beyoncé is that I can't see her show," Yoshiki told the Los Angeles Times, "and vice versa." 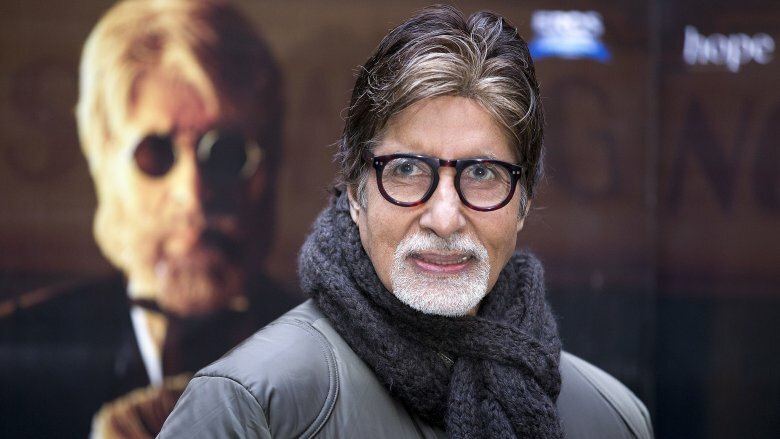 Amitabh Bachchan is a name we probably all should know, but do you? In 2015, The Independent called him "the biggest movie star in the world," and in his native India, he is the man. The host of Kaun Banega Crorepati (the Indian version of Who Wants to Be a Millionaire) has acted in hundreds of projects over his decades-long career. The guy probably owns a home just to house all his awards. He was even named one of PETA's hottest vegetarians in 2012. Despite his vast international fame, Bachchan's success hasn't translated in equal measure to the United States. Other than a role opposite Leonardo DiCaprio in 2013's The Great Gatsby, Bachchan has remained largely absent from American theaters. Bachchan has discussed his part as Gatsby's business bro, Meyer Wolfsheim. "I don't look upon it as my Hollywood debut. It is just a friendly gesture and nothing more," he told PTI, but he noted that he would like to see more roles for Indian actors and closer collaborations between Hollywood and Bollywood. Regardless, Bachchan's career hasn't suffered from his lack of visibility in America. In 2015, he was the seventh-highest paid actor in the world, according to Forbes, earning a reported $33.5 million. Lewis Hamilton is one of the most recognizable faces of all time among Formula One fans. The fast-driving Brit made history as the first black driver to win the Formula One title in 2008, but he was just getting warmed up. 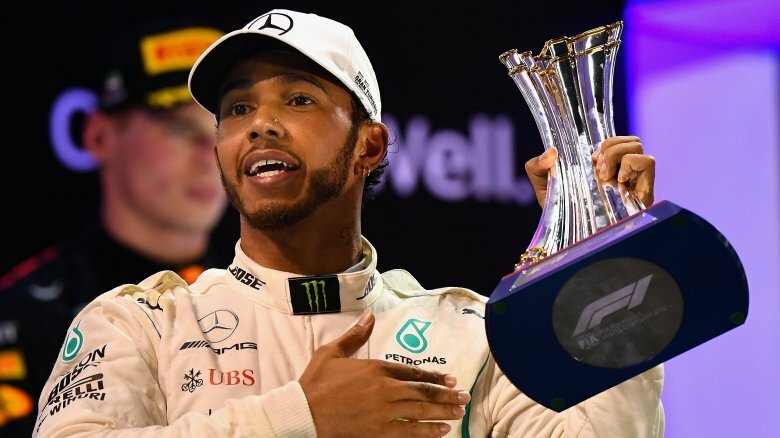 When he won his fifth world title in 2018, The Guardian declared that he had "unquestionably raised the bar to new heights," calling this moment in motor racing history "the Hamilton era." His estimated net worth hovers around $285 million, fueled by swanky sponsorship deals with the likes of L'Oreal and Tommy Hilfiger — not the kind of businesses Americans typically associate with their auto racing of choice, NASCAR, and that may be why Hamilton isn't ringing a bell in your household. He's okay with that. "It's very difficult to do something unique and different today," he told Brazil's UOL (via The Drive). "In the past, there were drivers who raced in several different categories, but I don't have the desire to do that." Hey, it's not exactly like the guy is hurting for fans. Even Prince Harry has swooned over the speedster, calling him "an absolute legend." The Daily Mail reported that Hamilton has taken to foil surfing on the West Coast during the off season, so who knows, maybe he'll eventually make a name for himself hangin' ten in the USA. 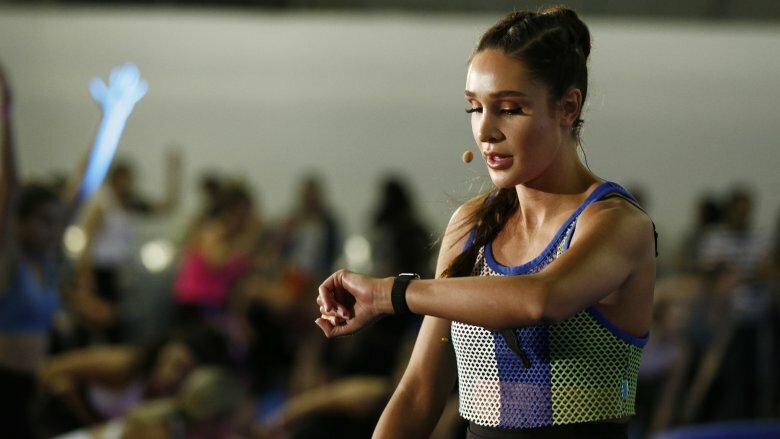 Kayla Itsines knows how to make you sweat, but you need to get to know her first. The Australian fitness guru has built an online fitness empire. In 2016, she was named Forbes' Top Influencer in the fitness category. That same year, her Sweat with Kayla app generated more revenue than any other fitness app, according to Bloomberg. "As soon as I started training, I loved it. I never started personal training to have a business. I never started personal training to have an Instagram account. I never thought I'd be in the position that I am," she told The National in 2017. Despite her massive media presence and social media footprint, Itsines' name hasn't yet approached household status in the United States, but hey, you can always revive that New Year's resolution tomorrow, right? As the "Bikini Body Guide" creator told Popsugar, "I want to be someone's first entry [to exercise], and I think it's a good way to enter, because you're entering into a community that focuses on how you feel rather than focusing on how you look." Itsines calls her fitness followers a "family." Time will tell if that family tree takes root in the States. You're pretty famous when you can go by one name. Beyoncé. Prince. Oprah. Juanes. Woah woah woah, who? 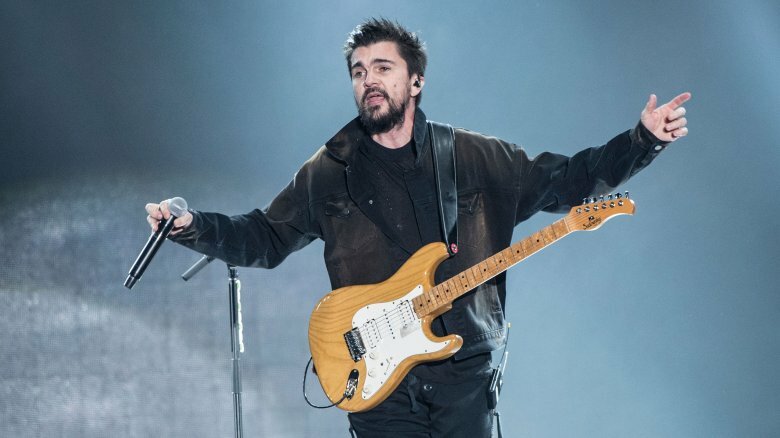 Latin Grammy-winner Juan Esteban Aristizábal Vásquez (aka Juanes) "was a member of Ekhymosis, a pretty dope Latin rock band, before going solo in the late '90s," according to the San Antonio Current. "In 2000, the Colombian singer released his debut album Fíjate Bien and secured three Latin Grammy Awards … a sign that going solo was probably the right decision." Years later, the guy was holy rolling with the likes of Pope Francis at the 2016 World Meeting of Families. Has Beyoncé done that? The critics adore Juanes too. Rolling Stone said his 2017 album, Mis Planes Son Amarte, featured "meticulous craftsmanship in every note … timeless songs that make people dance and cry and fall in love." That album also included his first song in English, "Goodbye for Now," and yet, he's still not a one-name wonder in the USA. But all that could change. Juanes performed on Jimmy Kimmel Live! in early 2019, so it feels like only a matter of time before we'll all be joining his fan club. Let's see, what's the Juanes version of the Beyhive? Fan Bingbing made her Hollywood breakthrough as Blink in 2014's X Men: Days of Future Past. In the blink of an eye, she'd become one of the highest paid actresses in the world. Bingbing has been a household name in China since she was a teenager in the late 1990's, and according to The Guardian, she was well on her way to cementing her standing on the A-list in the United States too. It seemed like nothing could stop this actress, not even a trade war with China, but then, it all came to a screeching halt in 2018. According to The New York Times, Bingbing became the face of a massive tax evasion scandal. The Chinese government accused her "of evading millions of dollars in taxes and warned others in the television and film industry to come clean or face a similar fate." And with that, Bingbing essentially disappeared — a shocking turn of events for a woman who boasted more than 62 million followers on Weibo — the Chinese equivalent of Twitter. The rumor mill went wild with stories about her allegedly seeking asylum or being controlled by the government, reported People. Roughly nine months later, in February 2019, Bingbing finally resurfaced on Facebook and Instagram to wish everyone a Happy Chinese New Year. She offered no explanation for her shocking vanishing act. Chances are you've seen Doutzen Kroes before. The Dutch supermodel has strutted her stuff as a Victoria's Secret Angel, graced the cover of countless magazines, and sold everything from Calvin Klein to Samsung. She even has a wax likeness in Madame Tussauds Amsterdam, and while her name isn't as recognizable in the United States as Gigi Hadid or Kate Moss, Kroes has certainly made her mark on the rest of the world. According to Forbes, Kroes was the world's 10th highest paid model in 2018, and she's certainly using her good fortune to give back. She collaborated with Tiffany and Co. for the Knot on My Planet campaign, which fights elephant poaching, and she's a global ambassador for Dance4Life, which seeks to educate kids about HIV and AIDS. "After all these years modeling, I'm finally connecting the dots," Kroes told Vanity Fair in 2018. "Because many times I thought, 'Why am I in this job? What's my contribution?' Now, finally, this job — creating the Knot on My Planet campaign — created a purpose for why I'm doing it. I could use my connections and create something like this." The last thing South Korean singer and actress BoA (aka Boa Kwon, aka Beat of Angel) resembles is the constricting snake of the same name. On the contrary, the tiny starlet has made music history internationally, becoming "one of the best-known performers in Korea and Japan, pumping out heartfelt ballads, feisty rock numbers and dance jams with equal success," according to LA Weekly. Alas, that success has not translated in equal measure Stateside, but there's still time. Though the "Queen of Korean Pop" has reportedly been recording and performing since the age of 13, The 405 called her 2018 album Woman "some of her best work as she experiments with the full confidence of knowing who she is as an artist." As of 2018, BoA was also counted among E! 's "richest idols in K-Pop" with an estimated net worth of $14 million. The entertainer is aiming for longevity, citing veteran pop stars Madonna and Britney Spears as inspirations, and as K-Pop popularity continues to balloon, BoA is well aware that everything she creates could potentially infiltrate the globe. "Because the Internet made us borderless, I think we need to focus, not just on Korea but the world," she told Billboard. 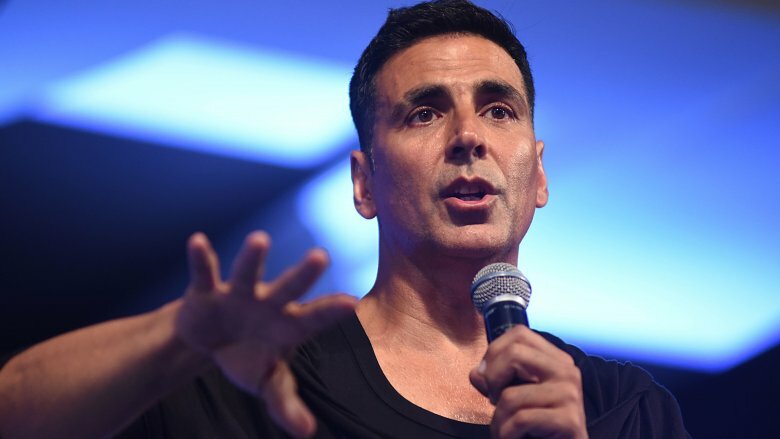 Bollywood star Akshay Kumar has become one of the most bankable stars in the entertainment industry worldwide. According to Forbes India, he raked in about $40.5 million in 2018 — the same amount as American A-list actress Scarlett Johansson, whose name we assume you've heard once or twice or a hundred times. So why doesn't Kumar ring a bell at the American box office? He's acted in more than 130 projects throughout his decades in the industry, including 2018's 2.0, which was among the most expensive and highest grossing movies in Bollywood history. Kumar has also become a renowned social justice warrior on the international stage, making movies that shed light on "social issues and important moments in India's recent past," reported Arab News. "I don't want to be just another famous actor who died of old age. I want to be someone who made a difference and left a mark in people's hearts," Kumar said. That personal mission motivated his work in the 2018 film, Pad Man, which depicts the true story of a man who "helped bring affordable sanitary pads to women across India." In short, Kumar is a tour de force, and it may be only a matter of time before the United States joins the party. According to Forbes, "U.S. producers have been paying more and more attention to Bollywood box office stats." For audiences, now is a good time to see what you've been missing.